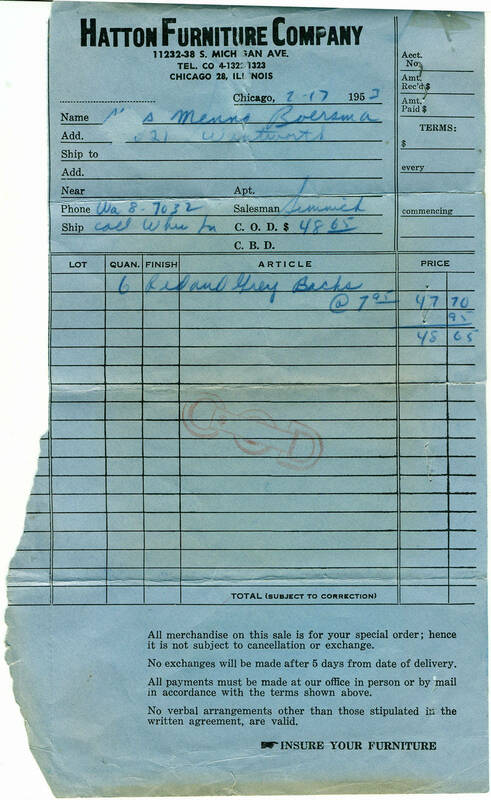 Sales receipt dated Februrary 17, 1953. Store located at 11232-38 S. Michican Avenue in Roseland. 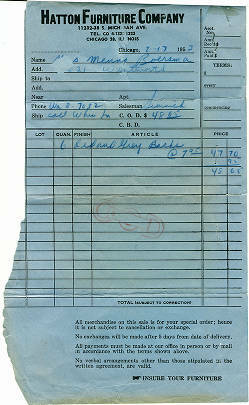 Description Sales receipt dated Februrary 17, 1953. Store located at 11232-38 S. Michican Avenue in Roseland.